IITA Director General Nteranya Sanginga has commended the development strides in IITA Abuja Station. “I am happy with the new look of Abuja Station,” Sanginga said while being conducted around some of the new structures within the station by the Station Head, Gbassey Tarawali. 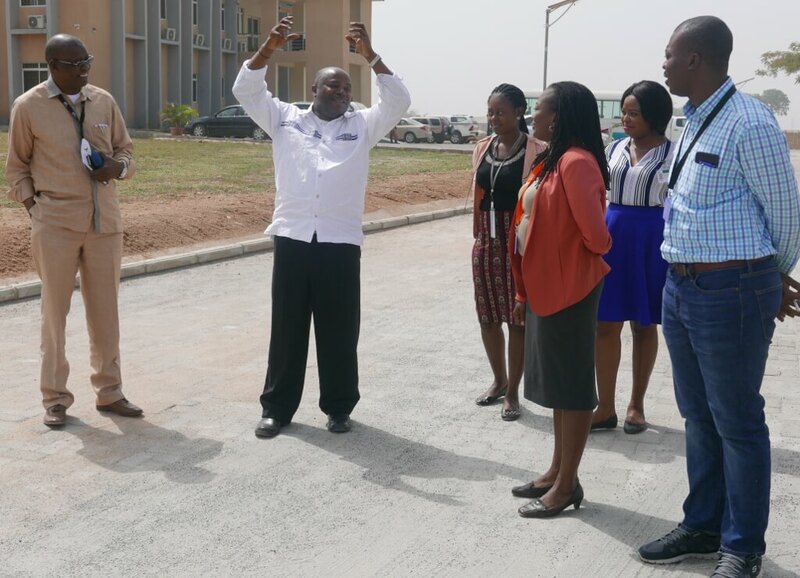 DG Sanginga (with raised arms) and staff at the Abuja Station on one of the newly constructed roads. 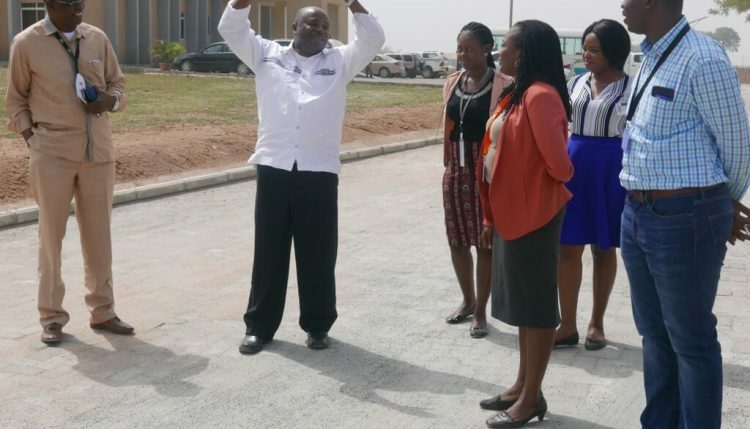 Sanginga, who was on a visit to Abuja to attend the Commissioning of the Nigeria Country Department Complex of the African Development Bank, inspected the offices in the newly built ATASP-1 Youth Training Center, the interlocked road from the gate to the guesthouse, the newly constructed maize warehouse, and the warehouse stocked with bags of sorghum maintained by the IITA Youth Agripreneurs in Abuja. Other facilities inspected were the ongoing construction of the Tissue Culture Laboratory, the ATASP-1 processing center, the staff canteen, and other facilities. 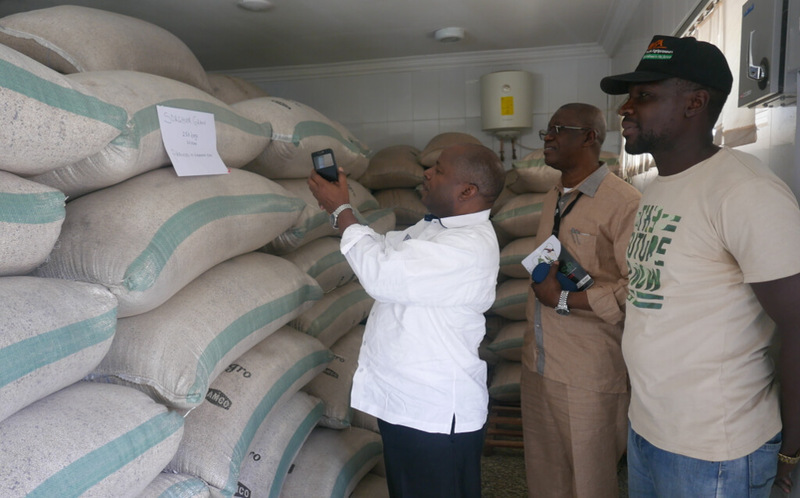 DG Sanginga at the IYA grain warehouse in Abuja. Before he left Abuja station, the DG expressed satisfaction with the recent growth, and encouraged the management and staff to do much more especially in the area of fundraising for sustainability given the strategic position of Abuja Station.